No matter where you are in your healthy living journey, you’re going to have “one of those days.” You know the ones. You forgot your wallet — and remembered only after you unloaded your entire cart at the supermarket. Your boss criticized the presentation you worked on for weeks. The kids have been sick for three days. You feel like you just can’t catch a break. Even as a yoga teacher and health coach, I have days where I want to climb back into bed and pull the covers over my head. But I can’t, so I put on my big-girl pants and get right back on the proverbial horse after a little TLC for the soul. 1. Just breathe. Whatever has me feeling down or off my game, I always start with a few deep breaths. Not only does this buy me some time to plan my next step, it also directly affects my nervous system. Your breath is your body’s built-in stress management system. Deep breathing for even a few moments can start to slow your heart rate, calm your mind and get you back into a more zen-like state. Close your eyes, slow your breath and observe the changes that happen in your body and mind. 3. Dance it out. I’m a huge Grey’s Anatomy fan, and the Meredith-Cristina dance parties during tough times are some of my favorite scenes. Turns out, those BFFs were onto something. Physical activity — be it dancing, running or whatever makes your soul happy — can give you a lift when you’re feeling down. Exercise, as you know, releases endorphins (aka happy hormones), and listening to music also makes us feel good. So, put the two together into an impromptu dance party, and you have a fun and uplifting way to let it go! 4. Snuggle up. I’m a cat lady, through and through. When I have a rough day, my cats seem to sense it and get extra cuddly. Though I sometimes feel lazy for sitting on the couch with a kitty on my lap, it’s doing my mind and soul a lot of good. Snuggling releases oxytocin, one of the feel-good hormones. Whether it’s with a pet, a partner or your little one, cuddling up is self-care! 5. Soak it up. Remember the old commercials for Calgon? They featured a stressed-out, exhausted mom saying, “Calgon, take me away!” There’s something so soothing about a long soak in a hot tub. I prefer mine with Epsom salts, which can help ease tired, achy muscles. Add an essential oil blend, and your bath can help you take the weight of the world off your shoulders. 6. Sleep it off. There’s no easy button or reset button in real life, but when a day is really hard, it helps me to remember that I will get a fresh start tomorrow. I try to get into bed at a reasonable hour and let myself sleep in a bit the next day if I can. Sleep is the time our body refreshes itself, rebuilding and recovering from all we did during the day. After a long day, a good night’s sleep can be just what your soul needs to recharge and be ready to take on the world tomorrow! Caring for your soul matters as much as caring for your body. 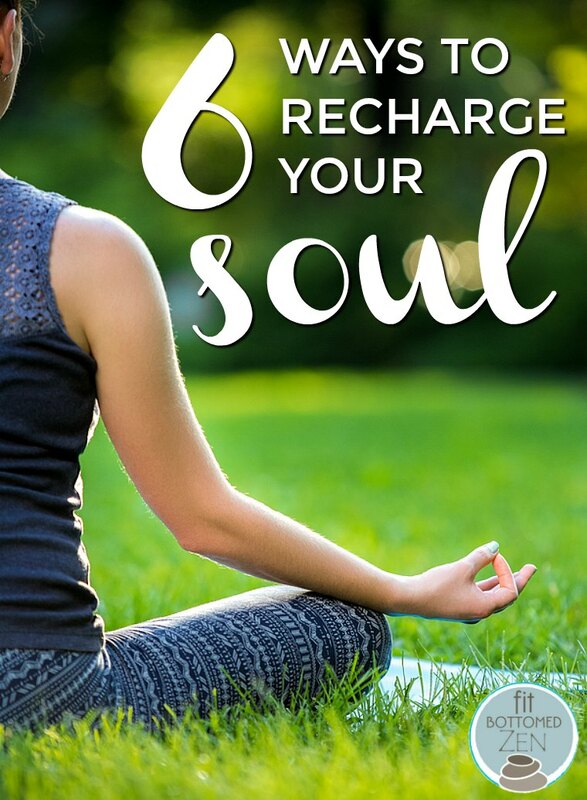 If you’re having a rough day and need a reboot, I hope one of these tips will help you.